My challenge every summer is balancing work with spending time with my 4 kids who are all out of school for the summer months and wanting to play. And honestly, I have the same mindset as my kids when it comes to summer...I want to play too. To please myself AND my kids I vowed to take at least one day a week and spend it with my kids having fun...waterpark, movies, parks, etc. But I had one big deadline mid-July and another at the end of the summer, mid-August. So they also had summer camps, swimming lessons, summer play practice, and music lessons to keep them busy having structured fun while I got some work in. I met my July deadline and then began to work furiously to stay on top of my illustration work for the September deadline. I was going a little crazy, honestly, because in there was mixed in a huge family reunion and extended family staying with us on and off. The only thing that kept me going was the promise of the trip we'd planned to the Oregon Coast the first part of August. I couldn't wait to leave the hectic summer behind and just CHILL! I recommend everyone take some time now and then to refill the well however your well is best filled. For me, I like to leave the household chores behind and go where there is no set schedule, see new places, and enjoy nature. 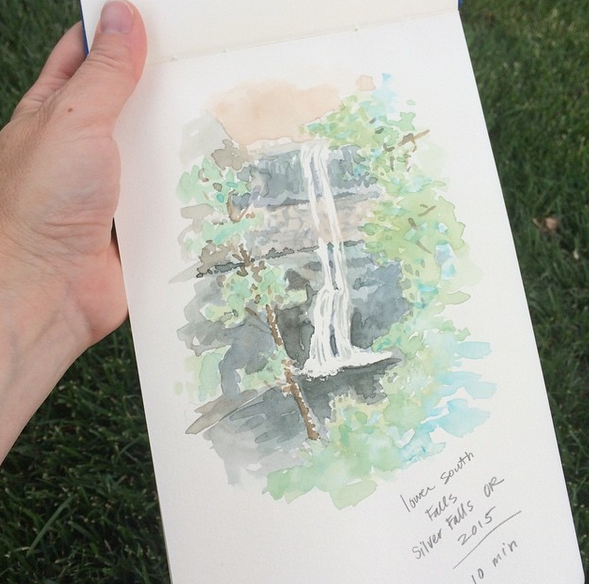 Day 1 Wednesday: Utah to Shilo Inn, Klamath Falls, OR. (Make Reservations for Shilo Inn - cost us $185 with taxes for all 6 of us). Long driving day. drove north on I-15, turned west on I-80 at Salt Lake City. 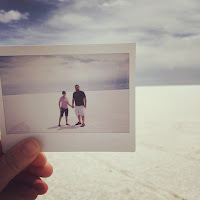 STOP 1 - Bonneville Salt Flats. 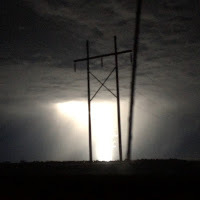 Took Pictures. Touched the salt. Realized we lost our rear license plate. YIKES! Oh well, what are you gonna do? We drove on, heading west on I-80, eating a packed lunch in the car along the way. STOP 2- Pizza Hut for Dinner in Winnemucca, Nevada. I called ahead when we were 20 minutes away and ordered. Thank goodness for google. I got a gluten free pizza for myself and ordered for the rest of the fam as well. 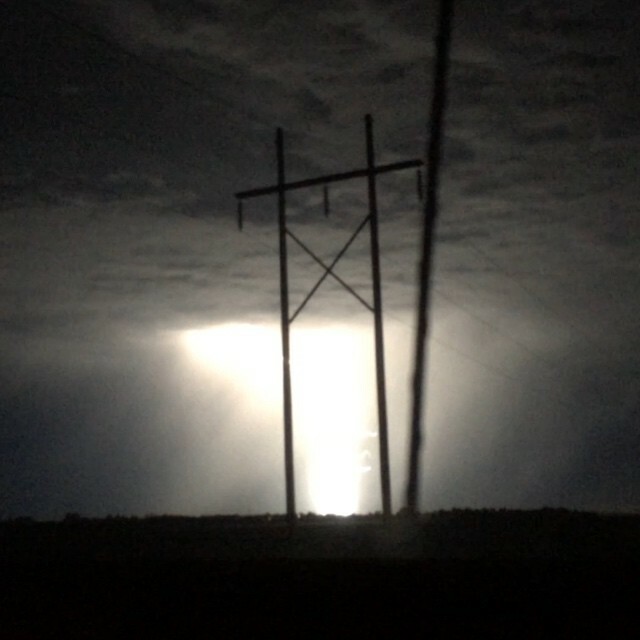 Quickly picked it up and turned north onto hwy 95, eating our pizza in the car, then turned west onto hwy 140. YOU HAVE TO EAT IN WINNEMUCCA and GET GAS, because after there, good luck...things are pretty barren until Klamath Falls, Oregon. STOP 3- Somewhere in the mountains of Oregon. Our daughter got carsick. YUCK! and then again for road construction a little later (one way traffic). STOP 4- Shiloh Inn of Klamath Falls, OR. We booked through travelocity last minute because we weren't able to stay with the friend we had planned to stay with (sick kids). This is a great hotel. Booked it online. Large rooms, fridge and microwave. Indoor pool. And the best thing for us was the washers and dryers. We had a bag full of carsick clothes and blankets to wash. YUCK! Since the drive was short this day, we let the kids swim in the indoor pool after the hotel provided breakfast for us. That's always a treat for our kids and it kind of erased the yucky parts of the day before from the trip vibe. 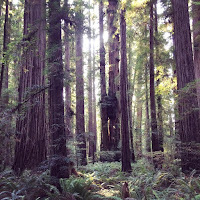 Toured/hiked/walked the Jedediah Smith State park. 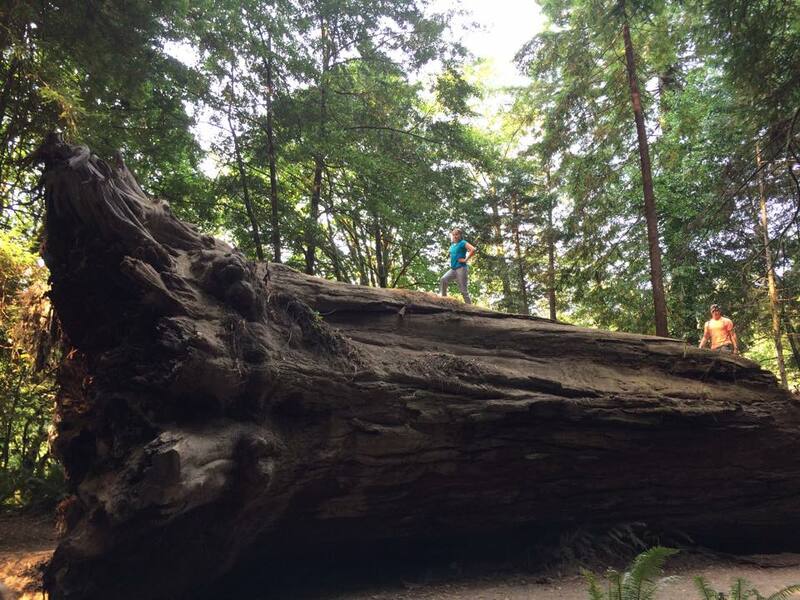 While you are here, don't miss Stout Grove...it's where the scenes for the Star Wars Ewok battle on Endor were filmed. We had a lot of fun checking it all out. Although, I advise getting there and getting done before 5:30...that's when the mosquitos attack. (or wear repellant etc.) It's an easy walking trail around the grove. I did it in flip flops. 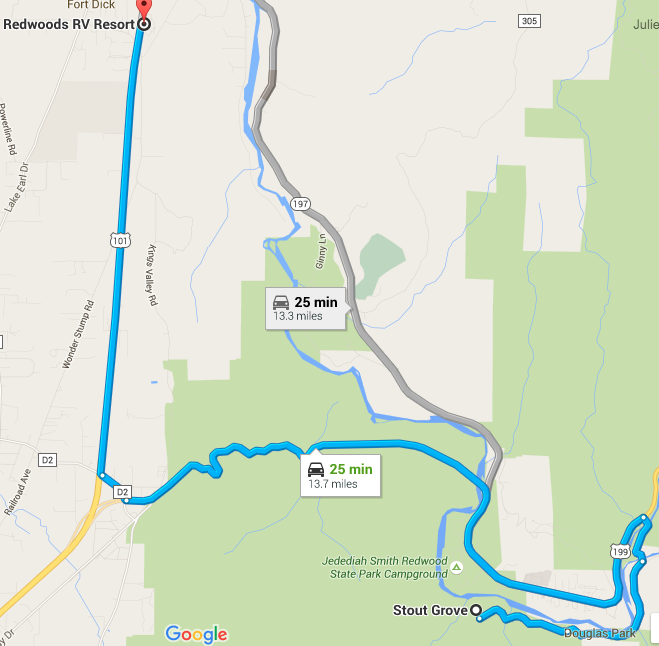 After stout grove, we drove to the RedwoodsRV park 25 minutes away. BUT BE SURE TO TAKE THE SENIC ROUTE THROUGH THE PARK! Take Howland Hill road back to Hwy 199 and STAY on 199 (to the left) when it splits all the way to the 101 and then head north on the 101. 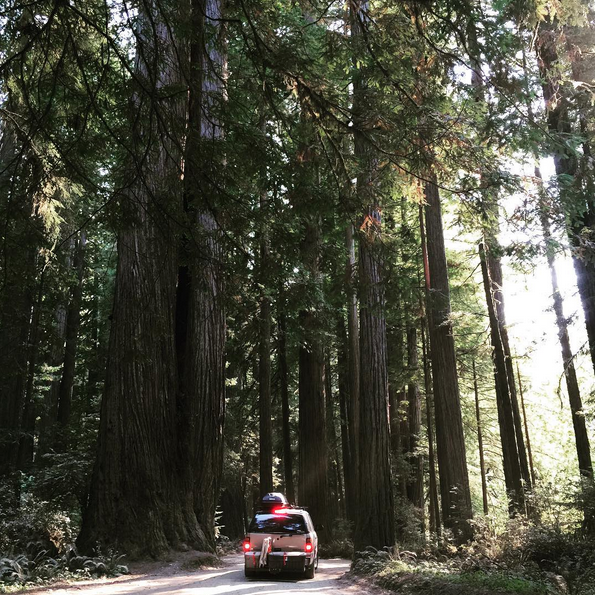 You will LOVE driving through the giant Redwoods here. Even though the road turns to dirt for a while, don't freak out, it's awesome. The RV park campground was wonderful. We had a tent campsite (the last one they had left). 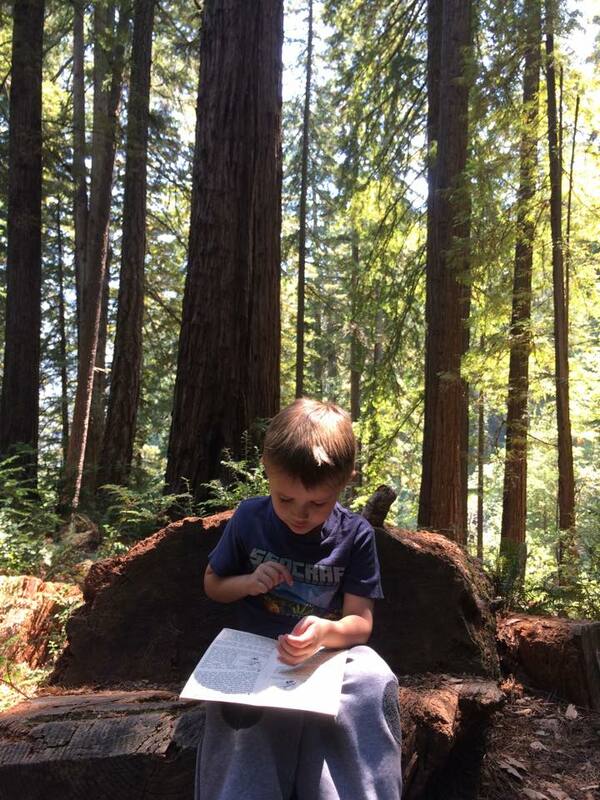 It had showers, a playground and the best part was we were still camping IN the redwoods. It was the best RV park for atmosphere that I've been to. NOTE: we took a DETOUR. Instead of turning right on the 101, we turned left and headed over to Crescent City, CA for our first look at the Pacific Ocean. 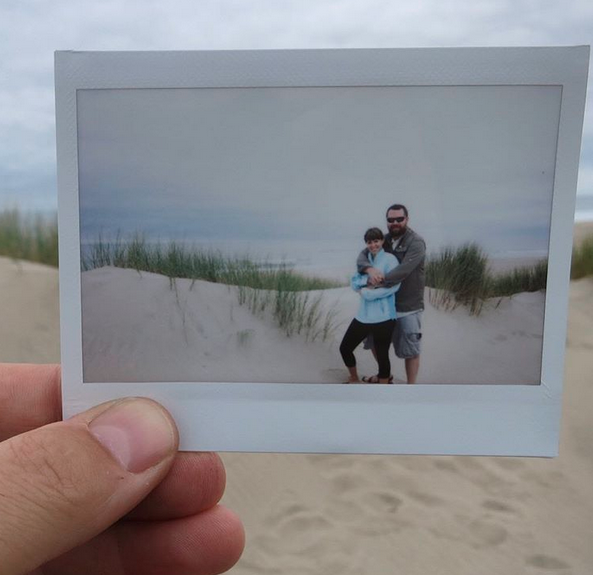 We spent a little while roaming the beach and snapping a few photos. Then drove north on the 101 to the RV resort. 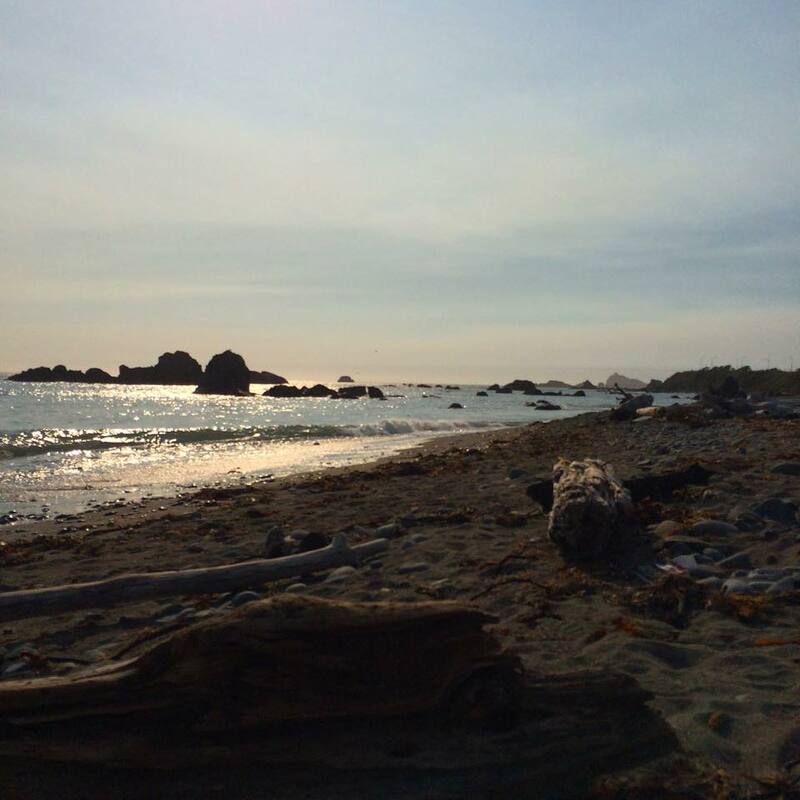 Day 3 Friday: Northern Cali to Brookings Oregon, Harris Beach State Park Yurts cost $43-$53 per night plus a reservation fee of $8 per night. (book a Yurt at ReserveAmerica.com but do so far in advance. 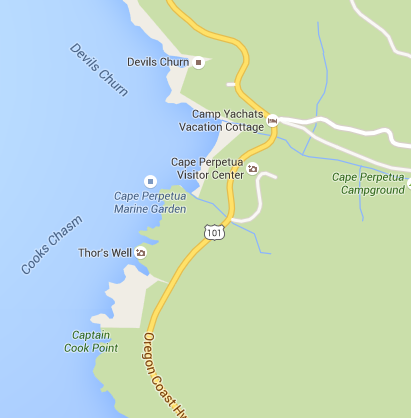 They also have rv and tent sites) - We booked YurtC26 and loved the location. Any of the Yurts next to it would be fine as well. BOOK EARLY - reservations start 9 months in advance. Fill fast. We checked out of the RV park at 11 am after sleeping in a bit and a nice breakfast, packing up the tent and all. Check-in time at Harris Beach wasn't until 4pm so we had some exploring to do of the area. We found the perfect picnic spot at the Alfred A. Loeb State park up the Chetco River in Brookings, OR. Google the State park and then follow the signs as you get near to the campground/day use area. 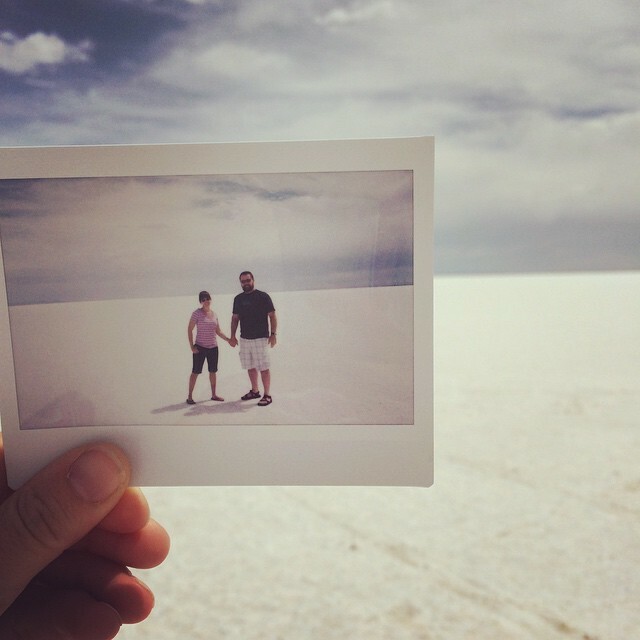 Day use is FREE, unlike Utah's parks. 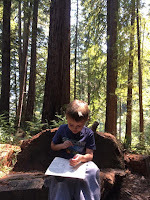 We found a picnic table and parking spot above the Chetco River and made PB&J for lunch. Then we took a beautiful hike. 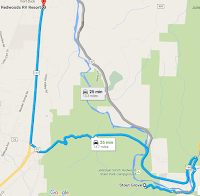 Here's a link to the 2.5 mile trail. http://alltrails.com/trail/us/oregon/redwood-nature-trail But please note this...Park at the campground/river access area, near a picnic table or not. Then walk the River trail which will eventually cross a little bit of a busy road over to the Redwood trail. 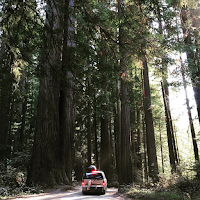 Don't miss the Redwood trail. 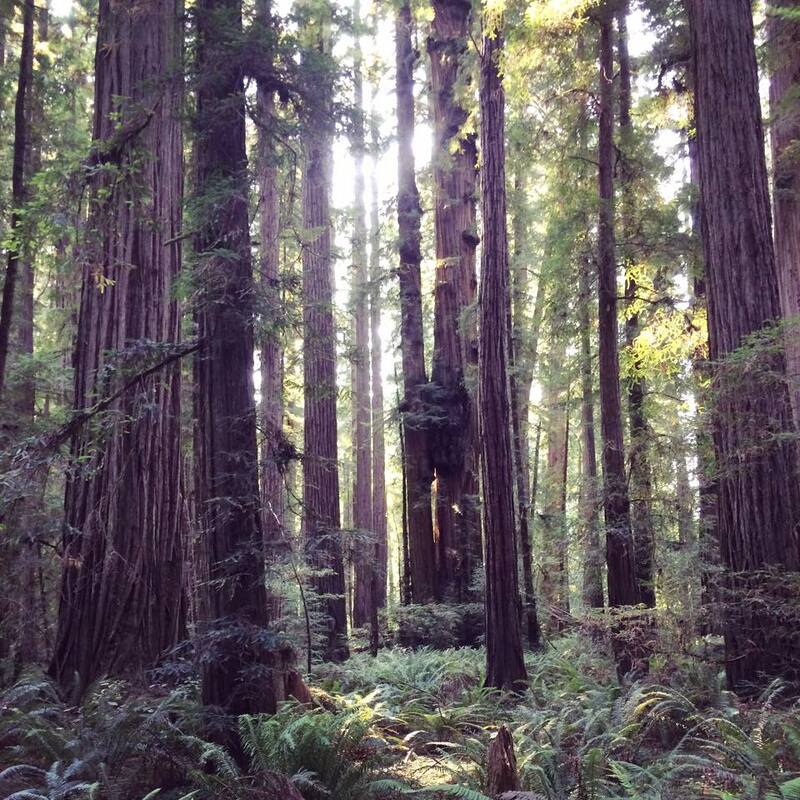 This is the northern most grove of Redwoods in the US. 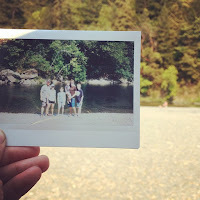 When we got done hiking, we were hot, so we all changed into our swimsuits at the car, then drove it down to the gravel banks of the Chetco river, set up camp chairs and waded and swam. There's even a rope swing and an ice cream truck drives down the banks mid-late afternoon. It was a wonderful afternoon. 4 pm Headed back in to Brookings, OR and stopped at the Fred Meyer for Gas and Grocery shopping. 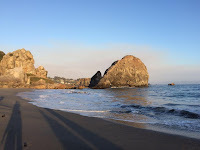 Drove up the road 5 minutes and Checked in to Harris Beach State Park, YurtC26 named Sixes (after a river in Oregon). 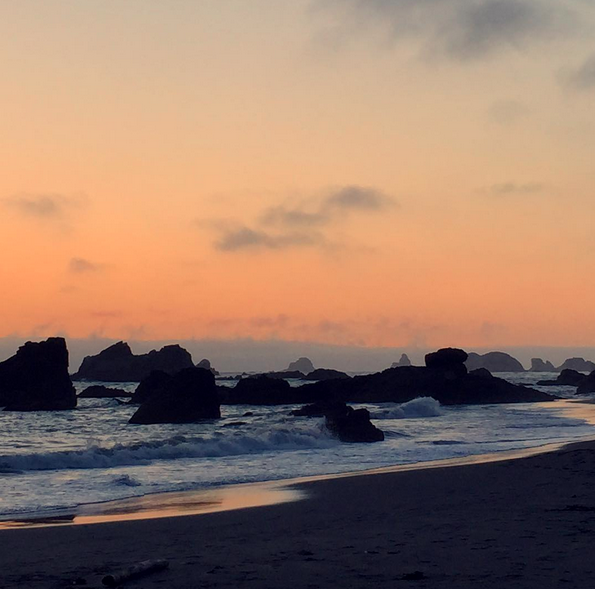 We didn't want to miss the sunset at the beach, so after we unpacked the car, we all walked down the short trail to the beach and basked in its beauty. It was absolutely gorgeous. Then we went back to the campsite for hotdogs and smores. 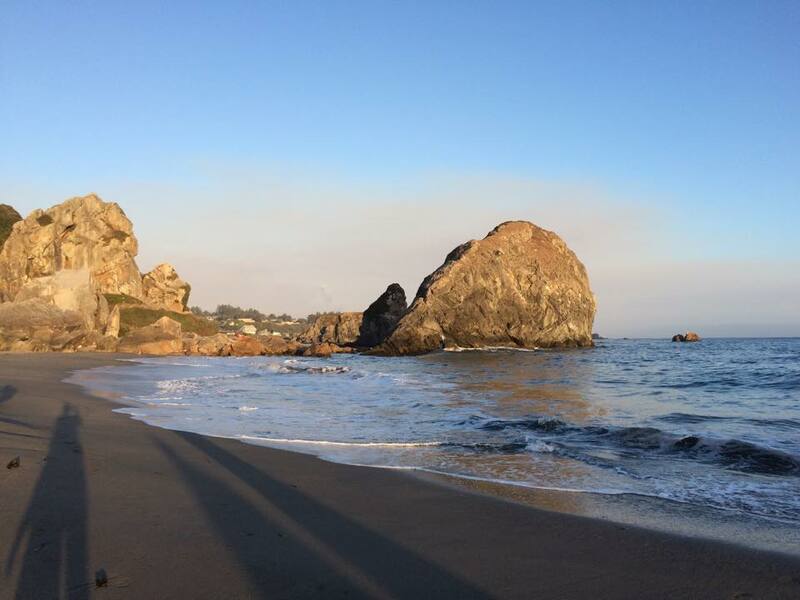 We spent the morning at Harris beach, playing and exploring. Ate lunch at the Yurt. 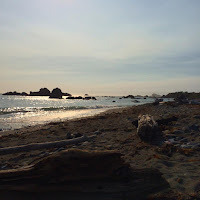 We spent the afternoon a few miles up the road at Lone Ranch Beach which we also loved. Highly recommend both beaches. 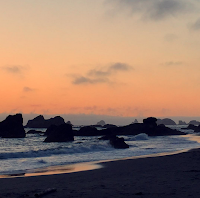 The sunset and the evening were spent back at our beach and campsite. Day 5 Sunday: Harris Beach State Park to Umpqua Lighthouse State Park Our Yurt here cost us $50 plus the $8 reservation fee. (book a Yurt at ReserveAmerica.com but do so far in advance, up to 9 months in advance to be precise. book early.) We stayed in Yurt53, C and this was IDEAL. 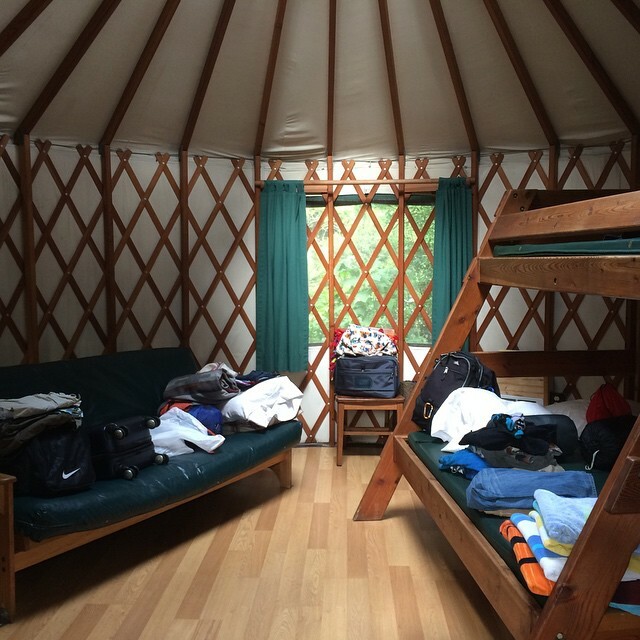 The location was gorgeous and the Yurt was updated and clean. Best yurt site there. We woke up, showered and got dressed in our Sunday clothes and drove in to attend church in Brookings from 9-10:15am at the Church of Jesus Christ of Latter-day Saints. Then we drove back to the campsite, changed, ate lunch and were out of there by 1pm. I always like going to church in different areas I'm visiting...makes the area much more personal to me. While the fam found a place to throw a frisbee while I did some laundry for an hour and a half at a little laundry mat at 1026 Chetco Ave. (same as hwy 101), Brookings, OR 97415 . 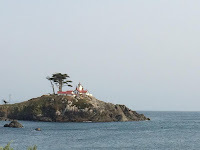 Then we drove north on the 101 two and a half hours to Umpqua lighthouse State Park. We only stayed here 1 night but the campsite was worth staying 2. 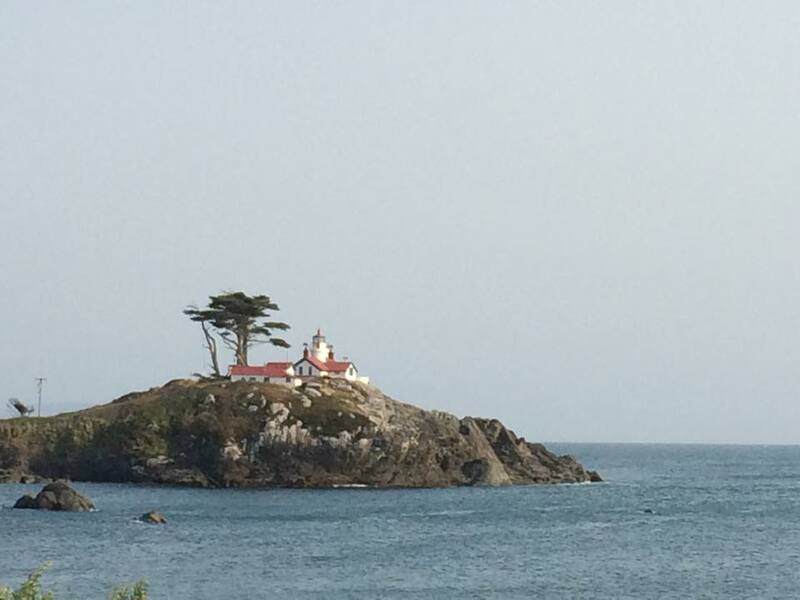 The lighthouse museum is free but the lighthouse itself costs money to tour, just FYI. Used to be free. Not anymore. We toured the museum late Sunday afternoon and looked out at the viewpoints. There is also a lake by the campground that has a nice mile long trail around it for walking (we made the kids go while we cooked dinner). 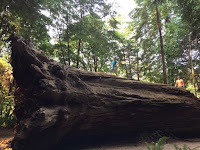 Day 6 Monday: Umpqua Lighthouse State park, to the Dunes Recreational Area, to Silver Falls State Park The cabin we stayed in at Silver Falls was $40 per night plus and $8 per night reservation fee. (make your reservation at reserveamerica.com and book early.) 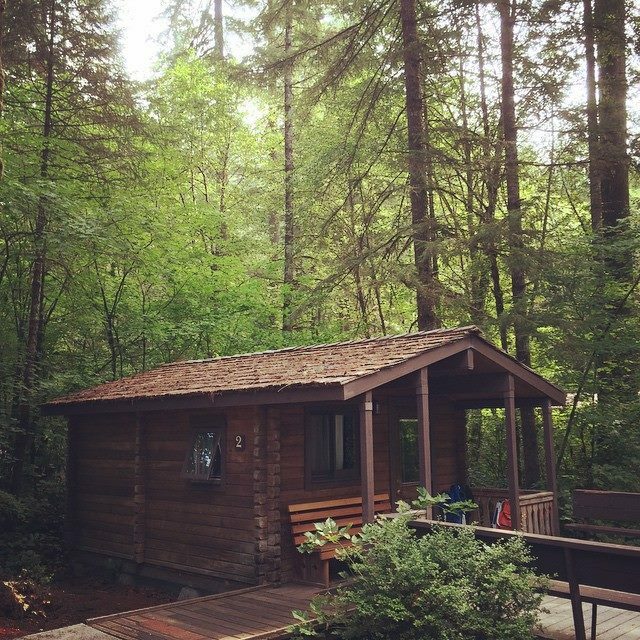 We stayed in Cabin02 and it was great. Cabins 1-10 are the best in the park but cabins 01 and 02 are the most secluded and the least foot traffic goes by. After breakfast we drove over to the Dunes National Recreation area. 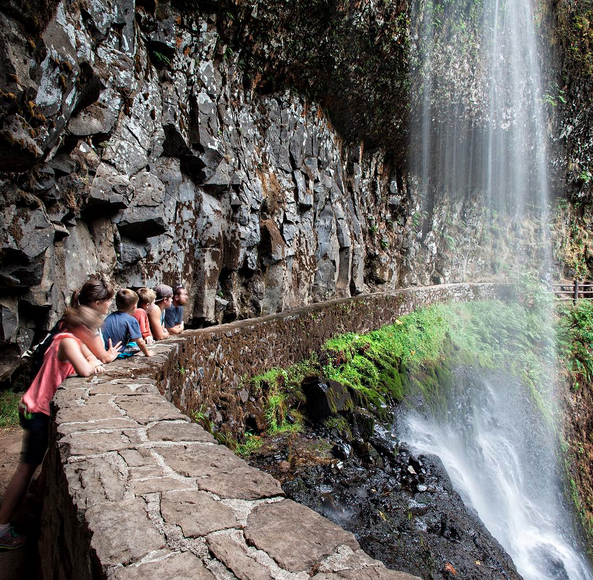 It costs $5 to park and enter because it's a national park not an Oregon State park. You can rent dune vehicles at various places but that isn't our scene. So we parked in the parking lot and crossed the grasses to the east instead of heading west to the atv area. 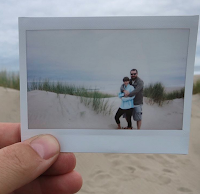 We played on the dunes by the ocean and it was picturesque and so fun. Driftwood, dunes, Dune grass, ocean. 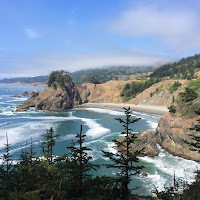 We drove back to the campground to pack up and drove north a few miles on the 101 to Reedsport, Oregon for Lunch at the Harbor Light Restaurant where the kids tried a Wild Boar Burger, some Oregon Butter Beer, and Clam Chowder. It was a nice leisurely meal and not entirely cheap, but it was fun to eat at a local place and fun for me not to cook. 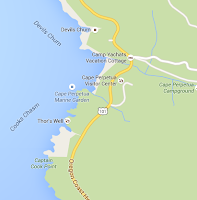 We continued North 32 miles on the 101 and stopped at the parking area just past the Sea Lion Caves Building. They take guided tours from that building down to the Sea Lion Caves for a fee. However, we were able to see many sea lions from our perch along the cliff of the parking pullout about 100 yds further up the road. We also saw a whale and watched it for quite a while. 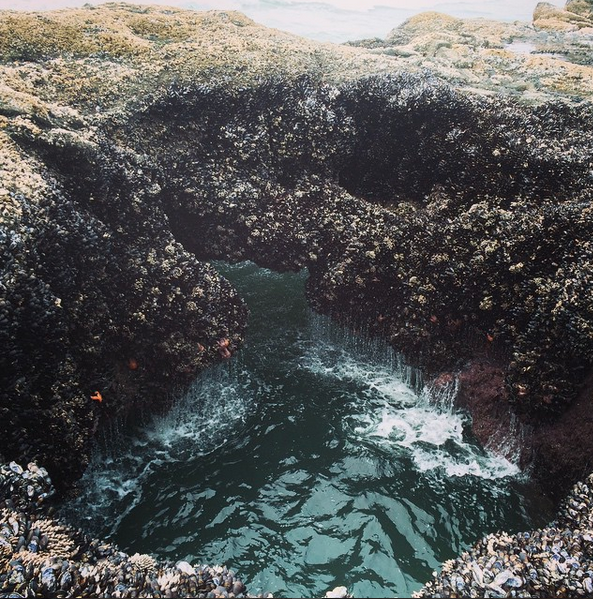 Then we drove on for 11 miles to the Cape Perpetua Marine Reserve area to see Devils Churn and Thor's Well. You can park at the visitors center and there is a trail down. 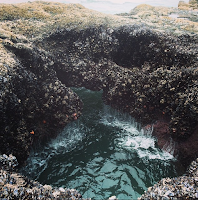 The tide was low so the Well wasn't as impressive as pictures online, but it allowed for a lot more walking around the tide pools and areas. We spent a good 45 minutes here. 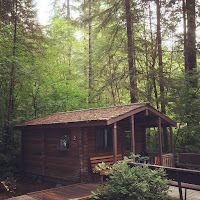 Then we north to Newport and inland on hwy 20 to Silver Falls State Park via Salem Oregon (where we stopped for groceries) and our little rustic cabin. The bathroom situation could have been better (2 toilets, 2 showers for 10 cabins) but there was only once where we had to wait for the use. 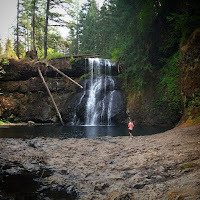 We hiked to North Falls, and Upper North Falls and then drove over to the Lodge Parking and hiked South Falls and Lower South Falls. This was a good way to break it up for smaller kids. 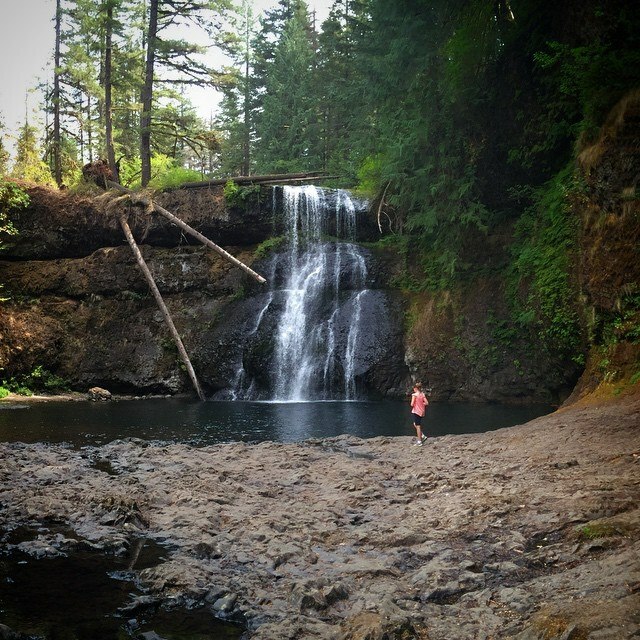 If you hike all 10 falls in one day it's a 9 mile trail. On Tuesday we called the Frank Lloyd Wright Gordon House in Silverton, OR and made an appointment for Wednesday afternoon to take a tour. If you are in to art, architecture, modern art or houses, it's a must. My two highschool boys and I went. Students are free and adults are $15. They take credit cards at the door. The house sits in the Oregon Gardens in Silverton, Oregon about 30 minutes away from SilverFalls Park. If you go as a whole family, I would stay for a meal in the cute town of Silverton down on Main street in one of the restaurants along the river. I loved the main street and wish I could've spent more time actually walking it and trying out a restaurant. 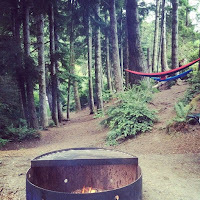 But my hubby was back at the campground entertaining the littler kids, so we had to get back. We went to the Ranger Talk at the main campground that evening. It was very entertaining and interesting. Check one out while you are there, especially if it's the Tribes of the Valley program. My 5 year old sat still through the whole thing. We got up fairly early and packed up and drove into Portland to try out the famed, Voodoo Donuts. It was in quite an interesting part of town and parking was difficult, but it showed the kids some real flavor of life. But all in all it added to the experience. 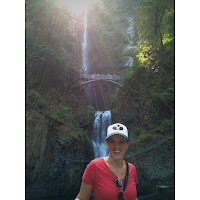 Then we drove interstate 84 along the hood river and stopped at Multnomah Falls. I would suggest skipping Voodoo Donuts and go straight to Multnomah Falls because it gets PACKED! 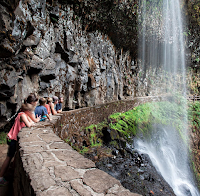 Map this address from Portland: "Multnomah Falls Lodge, 50000 Historic Columbia River Hwy, Bridal Veil, OR 97010" so you take the Historic Columbia River Hwy instead of 84 the whole way. If you do, you'll get to better parking and get to stop at Wahkeenah Falls and do the hike up to the bridge at least and then back down. 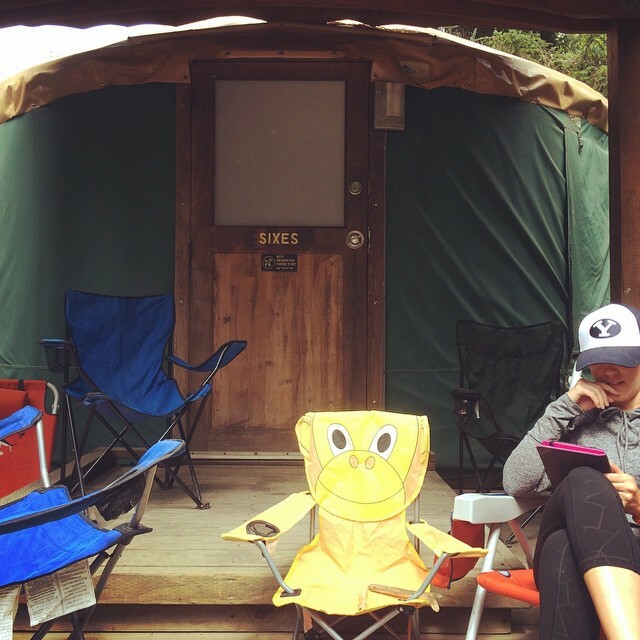 We had planned to camp at a KOA near Boise, Idaho on the way home to break up the drive. But after getting back in the car after the falls, we thought, "hey, let's sleep in our own beds tonight...we can drive straight through. It'll just be 11 pm Utah time when we get home." Famous last words. After a stop for fuel in Boardman, Oregon we drove on to Baker, City where we came upon a wildfire that closed down the whole interstate ( I-84). We were told to fuel up and take the scenic hwys, 7 to 245 to 26 to get back to I-84 further down the road. That was a 2.5 hour detour. By the time we stopped to grab a quick bite on the border in Ontario, OR we headed to Boise, ID. 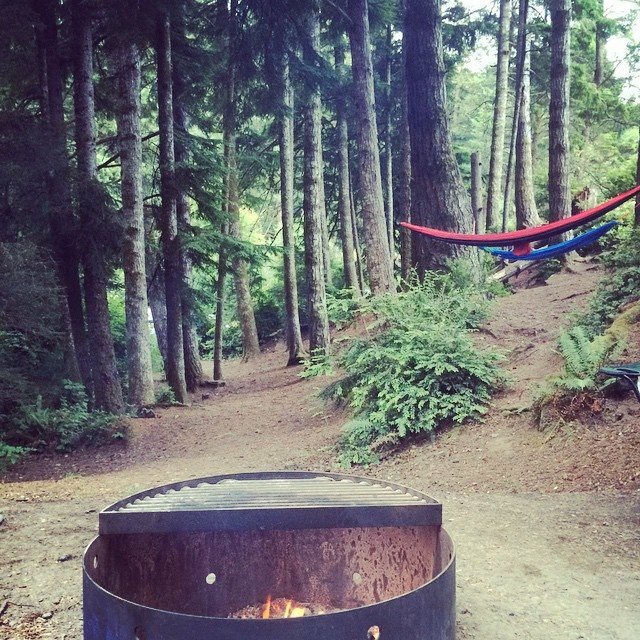 We thought about ditching our plan and staying at our reserved campsite. But one look at the temperature and the time and the weather... 9:30pm, 103 degrees, wild fires by the road, smokey skies and the biggest lightening storm you've seen...we decided there was no way we'd pitch a tent and then sleep in all that. So we pushed forward. We made it home at 3 am. Tired. But happy to sleep in our own beds. Someone else asked me what we did for food. We ate out rarely (once on the road there, once in Reedsport, and once on the road home). Everything else was out of a food box and cooler and we were all fine with that. I had a box for dry goods, a cooler for the rest of the food, and a rubbermaid full of paper plates, utensils, paper cups, paper towels etc., and a flat rubbermaid bin with spices, oil sprays, knives, cooking utensils, clothespins, foil, baggies, tablecloth, etc. It was basically my cooking pantry. So regardless of our drive TO Oregon and our drive HOME from Oregon, the trip was absolutely wonderful. The kids said they put it right up there with our trip to Grand Cayman Island over spring break. But let me tell you, this trip was a lot cheaper. 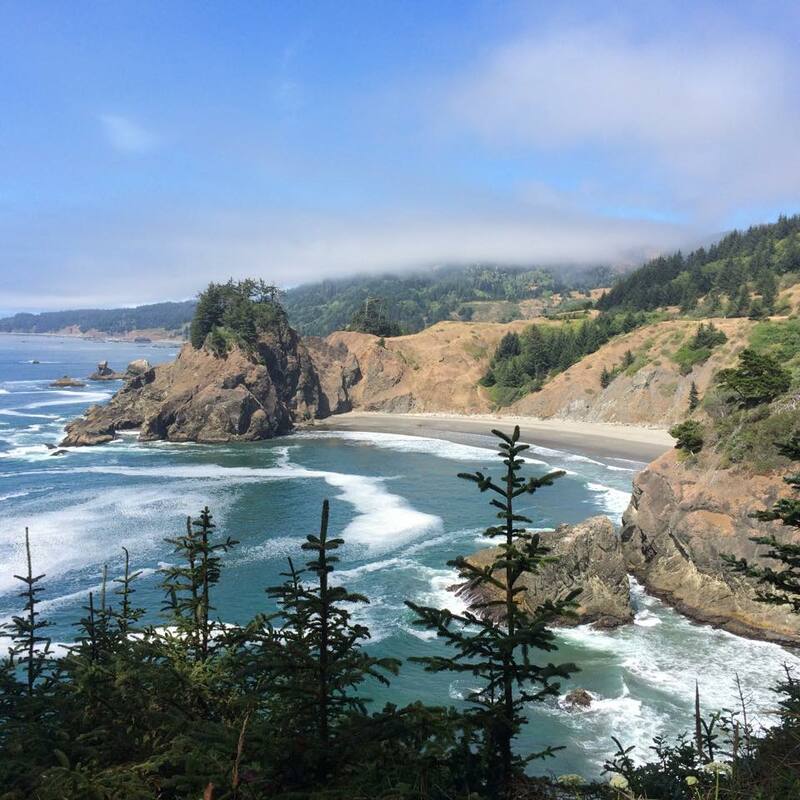 So save yourself some money, take a trip to the Oregon Coast. And if you're looking for some other great hikes while you're there, check out this post on AlltheRooms.com's blog.